Occupation: CPA (Partner: Landwehr & Spaho CPAs, LLC) Financial Advisor – Securities America, Inc. Most Memorable Track Experience: Instructing a student at Lime Rock, he hit a curb and we ended up on two wheels driving down the track. 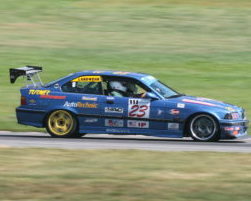 Anything else you would like to share: Starting racing in 1995, when the BMW Car Club started the club race series. Tracks driven: Pocono, Sebring, Moroso, Road Atlanta, Nurburgring, Mid Ohio, Putnam Park, Summit Point, NHIS Monticello, Mont Tremblant, Stafford, NJMP, Watkins Glen, Bridgehampton, Mosport, Thompson, Lime Rock, Palmer, VIR.